When Typhoon Haiyan hit the Philippines in early November 2013, the world looked on with shock and horror as damage reports flooded the global media. Within days, Food for the Hungry (FH) joined their crisis response partner, Integral Alliance, on the ground to help with immediate relief efforts. As immediate needs (food, water, shelter) were met, it became clear that reconstruction would be a long and challenging process. 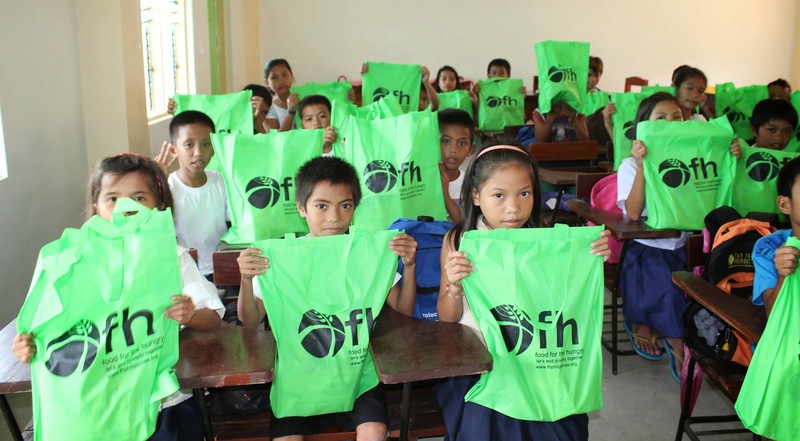 FH embraced the opportunity and immediately began working with 15 organized communities (barangays) in two municipalities - Basey and Marabout - in metro-Manila. The first step was to bring everyone together to talk about their resources, differences, and shared values. 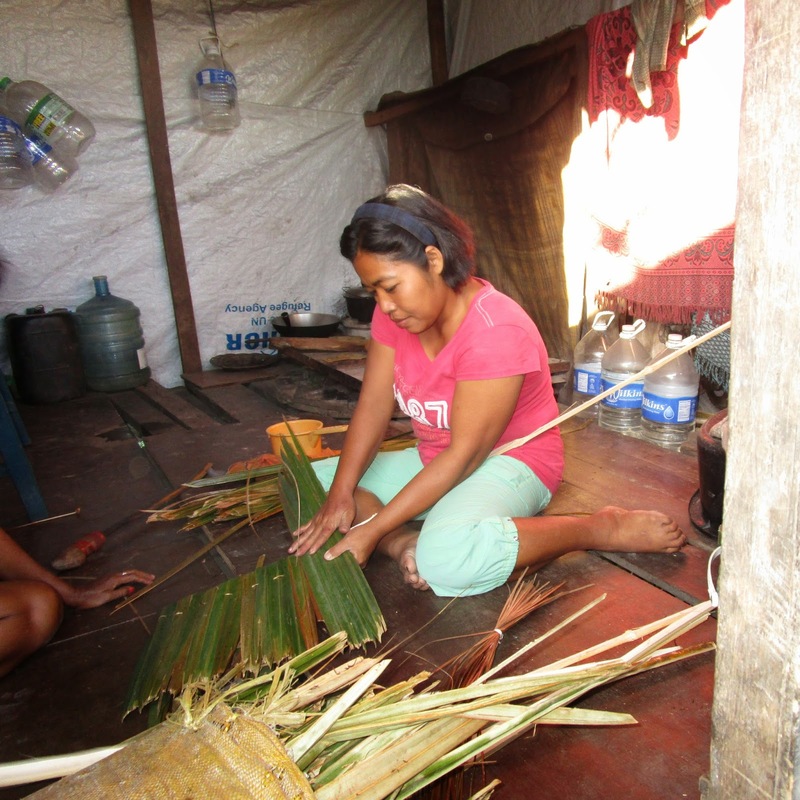 This process set them up for success as they moved forward to rebuild their future together in the wake of Typhoon Haiyan. During 2014, FH made huge strides forward with their partner barangays, and learned a few valuable lessons along the way. 1. IT PAYS TO WORK TOGETHER. As soon as a crisis hits a developing nation, non-governmental organizations (NGOs) pour in to help. The help they bring is desperately needed, but with so many NGOs working independently of each other in the same area, things can quickly get messy. NGOs run the danger of duplicating each other’s work in some areas, while accidentally completely neglecting others. Through cooperation, however, NGOs are able to maximize their impact and make sure no one falls through the cracks. Because of this, FH took the initiative to communicate and cooperate with other NGOs in the metro-Manila area. 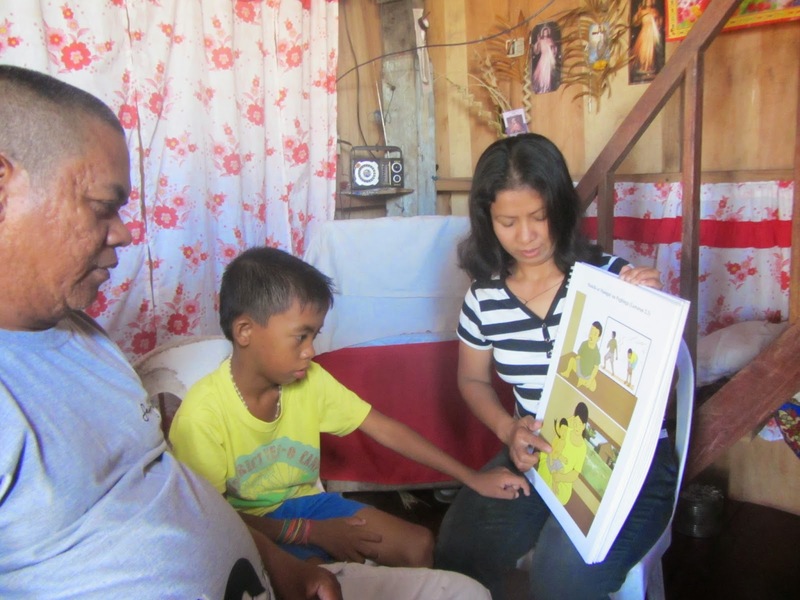 One example of cooperation was in a barangay where FH did a health survey and discovered that, in contrast to existing data, far more mothers were practicing exclusive breastfeeding than was known. FH then discovered that UNICEF had recently conducted local awareness campaigns and trainings on this topic. Instead of reinventing the wheel, FH sought to learn from the locally successful messaging used by UNICEF to find out if they could incorporate it in their own health education for mothers. FH is proud to report that, though it took a significant time investment to achieve, there was no duplication of work or confusion with other NGOs about the role FH plays in the barangays. 2. IT'S NEVER TOO EARLY TO START PLANNING FOR THE NEXT HIT. After “the big one” hits, it can be tempting to sit back and imagine that a disaster of such magnitude could never happen again. But we know that they can and they do. So one of the first things FH did in the Philippines was to establish Barangay Leadership Groups to train leaders in order to mitigate the impact of future disasters. Without leaders, a community faces extraordinary chaos in times of disaster and distress. In addition, FH helped to establish Barangay Disaster Risk Reduction Management Councils where they didn’t exist before, and to strengthen them where they were weak. 3. PEOPLE WANT TO WORK. One of the most basic human rights is the right to work. People want and need to earn a living and provide for their families. But what do you do when your means of work has been washed away by one of the most powerful storms ever recorded in human history? FH began by helping the barangays recover their ability to work by assessing their livelihood options and helping them form Savings Groups. To learn what livelihoods the community wanted to practice, FH engaged with the local people to hear what they needed by talking with community leaders and focus group discussions. From these conversations, FH staff identified 25 livelihood options in Basey and Marabut. They narrowed down the list based on criteria like competitiveness potential, impact potential, and contribution to values such as gender equality and environmental sustainability. In the end, a rice activity was selected for Basey and a crabmeat activity for Marabut. To help the community rebuild their financial capital, and gain financial and small business literacy, FH introduced Savings Groups to the barangays. They offered a special orientation for the Municipal heads on Savings Groups and the planned livelihood activities. Once the local government leadership saw that FH activities were based on current community needs, they got excited about these new opportunities. To date, 1,000 families have received assistance for recovery of their livelihoods, 45 Savings Groups have been formed, and two alternative livelihood interventions have been established! 4. NEVER UNDERESTIMATE THE POTENTIAL OF VOLUNTEERS! One of the most powerful tools for health education is what we call Cascade Groups - small groups of women who learn essential health and hygiene lessons in order to teach them to knew small groups in their communities. In this way, health education spreads exponentially throughout a community. But here’s the thing - they’re all volunteer based! 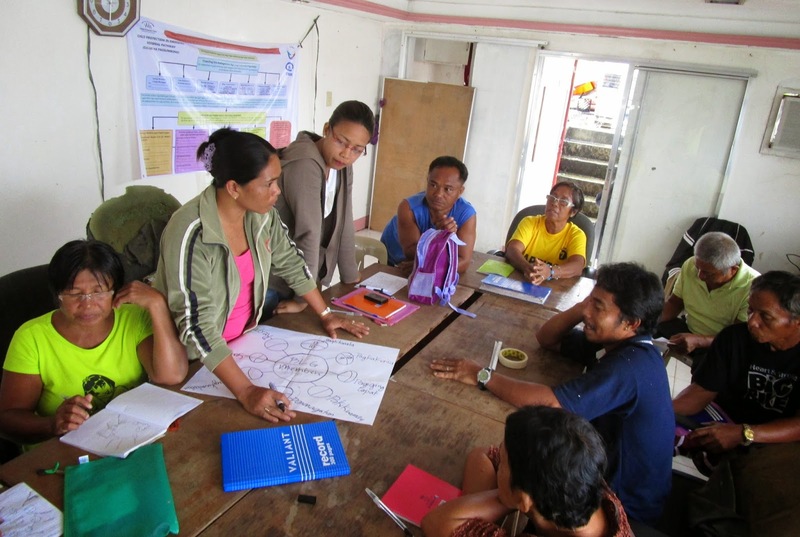 In 2014, FH trained 395 Cascade Group volunteers in the barangays on essential hygiene practices. Basic health lessons are critical to avoiding disease at all times, but especially after a disaster. These volunteers, in turn, provided the same training to a total of 3,225 neighbours! This is just one example of what we consider to be one of the biggest highlights for 2014 - the amazing response of community volunteers! Many volunteers have demonstrated incredible motivation and desire to continue serving their communities, despite the difficult circumstances. It’s one strong indicator that the programs FH is helping the communities to get off the ground will be sustainable in the long-run. 5. SOMETIMES SLOWER IS BETTER. It’s counter-intuitive, isn’t it? In emergency situations, like after a typhoon hits an island, we instinctively want to move fast - lives are at stake! This mentality is absolutely correct for immediate relief situations where people urgently need the basic means of survival while the country is stabilized and damages assessed. But as relief gives way to reconstruction with the hope of long-term, sustainable development, it’s actually good to slow things down. Why? Because sustainable improvements in infrastructure, livelihoods, education, and health takes a relationship with the community to succeed. With this in mind, FH took the time to work with focus groups, community groups, and local government officials through every step of the process. They listened first, and acted second. FH staff met with community leaders and developed good relationships with a broad range of people by forming Barangay Assemblies. This has really helped engage the active participation of community members, which came in handy when one political leader was delaying the launch of FH activities. The people were so excited to get started that they pressured the leader into action and helped the community move forward. For lasting change to take root after a disaster like Typhoon Haiyan, it takes all hands on deck, even if that means slowing down and taking more time to get everyone on the boat.